News Page: 7 Series Hybrid Preview with photo of 69927. Thanks to David Winyard for this. Reading Transport Fleet List: 557 has been delivered by 20th in base green, and 569 likewise by 25th. The first three will enter service after Easter. First Berkshire Fleet List: 42644 appears to have returned to Slough from loan to Bracknell. Thanks to Damian Saldyk for this. 33179 has now arrived at Slough for preparation. Thanks to David Winyard for this. 33183 has also arrived. Once ready the five recent arrivals will replace 32900-3/63 at Bracknell, 32900-2 having lost their Routemaster registrations. Thanks to Stephen Le Bras for this. Horseman Coaches Fleet List: The two remaining Panether 2s are YN13 AWG/J. Thanks to Glenn De Sousa for this. FJ03 ZTV passed from Plaxton (dealer) to Carmel Coaches along with ZTW. Thanks to Dave Godley for this. Stewarts of Mortimer Fleet List: The second new Irizar i6 is YN13 BWP. Thanks to Glenn De Sousa for this. Thames Travel Fleet List: 419 has been repainted out of Carousel red into green and blue fleet livery. Thanks to Matt Goodenough for this. Oxford Bus Company Fleet List: 365/7 don't have Electricity branding. 369 has gained Park & Ride 500 lettering and is likely to be joined by two others. Thanks to Graham Low for this. Stagecoach in Warwickshire Fleet List: 34627 was in use at Kettering on 19th still with Midland Red (South) lettering, suggesting that it is only on loan. Thanks to Steve Knight for this. Courtney Buses Fleet List: YJ62 FYF is a slimline model. KV02 USJ has left the fleet. Thanks to Glenn De Sousa for this. First Berkshire Fleet List: Registrations for the new Volvos added. 41772 arrived on 3 February on loan. Thanks to Mat Wooll for this. Oxford Bus Company Fleet List: 962/3 have been withdrawn. Thanks to David Smith for this. 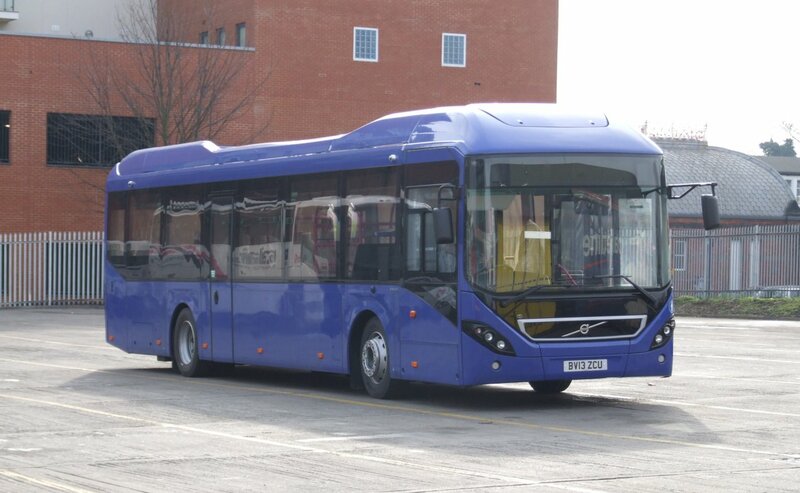 First Berkshire Fleet List: The new Volvo hybrids are to be fleet numbers 69920-9. Thanks to Terry O'Neil for this. Stewarts of Mortimer Fleet List: One of the new Irizar i6s has arrived and is registered YN13 BWV. Thanks to Glenn De Sousa for this. Stagecoach in Warwickshire Fleet List: 34496/97/99, 34626/41/43 have new MegaRears for Horts Estate Agents. Thanks to Brian Lambert and Steve Buckley for this. 33459 has been reinstated at Leamington. Thanks to Keith Wood for this. 34627 is in use at Northampton. Thanks to Steve Buckley for this. News Page: Horseman Arrival with photo of YN13 AWH. Thanks to Bob Stanger for this. Reading Transport Fleet List: 1013 is running in Reading and wasn't exchanged for 1021. Thanks to James Cusworth for this. Courtney Buses Fleet List: S853 DGX has been repainted plain white and RX57 MDZ has been advertised for sale. Thanks to Glenn De Sousa for this. 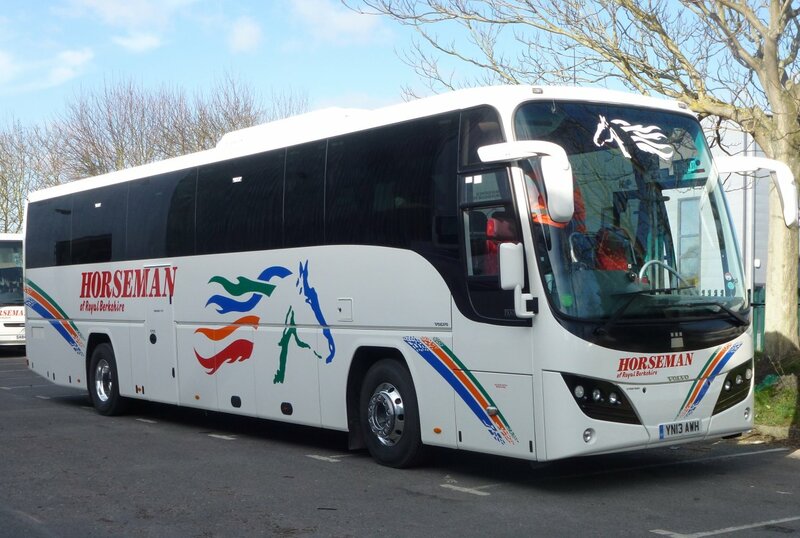 Horseman Coaches Fleet List: A second new Volvo is YN13 AWH. Thanks to Bob Stanger for this. Oxford Bus Company Fleet List: 300 has been reregistered R12 OXF. 105 is to transfer to Thames Travel, and 107/8/17 to Hedingham. 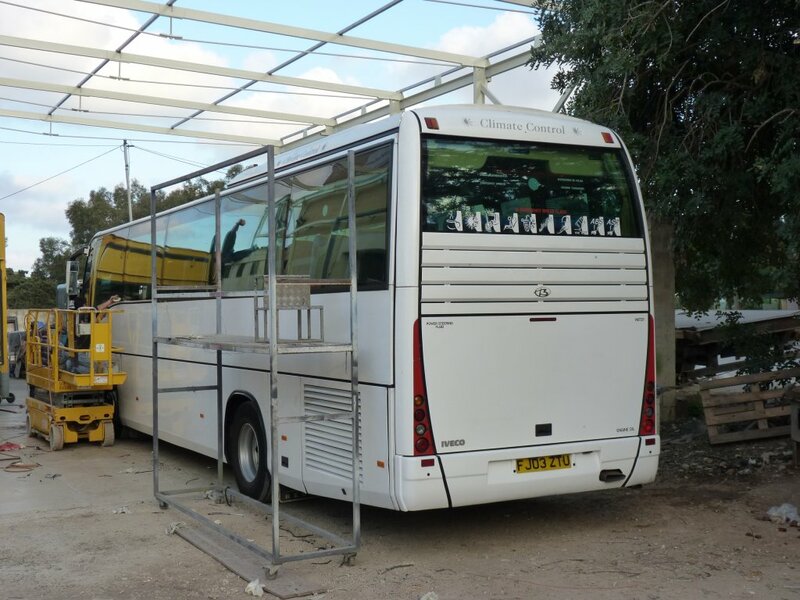 Weavaway Travel Fleet List: C7 OXF has been repainted from silver into black. Thanks to Richard Haines for this. Of the Tappins vehicles repainted into black with South Midland fleet names, at least C19 TCL also has "orbiter" lettering echoing a brand name used by the original South Midland. Thanks to Matt Forbes for this. News Page: Horseman in Malta with photos of FJ03 ZTU (2) and ZTY. Thanks to Chris Maxfield for this. Courtney Buses Fleet List: Demonstrators YJ10 EZB and YJ11 OJK returned to Optare in February. Thanks to Bus Fare magazine for this. Optare’s loaned Versa YJ61 JHF left by the end of February, and is now with Edward’s Coaches in Wales. Thanks to Glenn De Sousa for this. 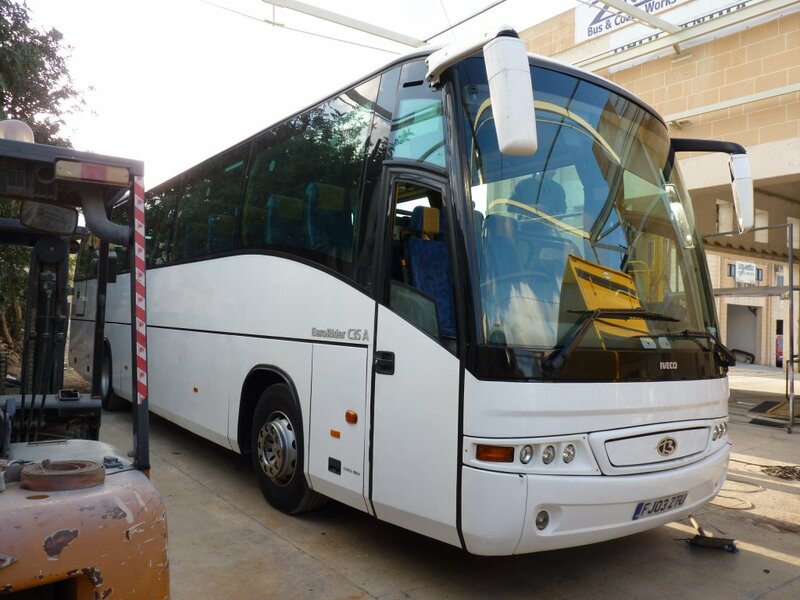 Horseman Coaches Fleet List: FJ03 ZTU/Y are at Zinnu Bus & Coach in Luqa, Malta undergoing prep work. Thanks to Chris Maxfield for this. ZTW was sold to Carmel Coaches in January. These three plus ZTV went via Plaxton (dealer) in exchange for four new Volvo B9R / Plaxton Panthers. Thanks to Bus Fare magazine for this. The first of the new Panthers is YN13 AWF. Thanks to John Wheeler for this. Weavaway Travel Fleet List: TIL 5975 and TIL 9262 were both withdrawn in January rather than February. Thanks to Bus Fare magazine for this. TIL 1184 appears to have been withdrawn in November, reinstated in January and withdrawn again in February. The outgoing YUE 338 was reregistered YND 185X rather than NBL 905X and withdrawn in January. Carousel Fleet List: 415 & 417 have been repainted into Purple Route 35 & 36 livery at London Bus & Truck. These will replace 561. Thanks to Malcolm Crowe for this. Courtney Buses Fleet List: Demonstrator YJ11 OJK has been returned to Optare and is now in use with the University of Wolverhampton. Thanks to Tony Hunter for this. Fleet Buzz Fleet List: 32657 was withdrawn for disposal on 5th February in exchange for 33817. 34371 entered service on 28th February and 34375 on 3rd March. 42053 was withdrawn on 4th February and sold to Ensignbus (dealer). Weavaway Travel Fleet List: The two new Optare Versas arrived on 5th registered YJ13 HJO/HMO. Thanks to David Wilder for this. Stagecoach in Oxfordshire Fleet List: A third Solo transferred from Stagecoach East is 47395. The three Solos from Cambridge have allowed 33947/70 to be returned to Stagecoach West and 47037 to Stagecoach Midlands. 50201 has lost it's Oxford Tube MegaRear "Burn It At Both Ends". Stagecoach in Warwickshire Fleet List: 34627 has transferred back to Nuneaton from Leamington and Rugby 33453 has returned to service. Thanks to Martin Townsend for this. Withdrawn 16691 is now for sale. Open top conversion has been completed on 17491 which is about to enter service at Stratford. Rugby 27502 has gone into reserve for repairs. Megabus 52659 has been withdrawn for disposal. Reading Transport Fleet List: The Tridents from Lothian Buses are to be 551/3/7-9/69 (W551/3/7-9/69 RSG), and will retain their Lothian fleet numbers. Thanks to Brian Coney for this. 1021 is on loan from Newbury to Reading, with 1013 the reverse. Thanks to James Cusworth and Richard Haines for this. Courtney Buses Fleet List: YJ57 XWN/P/R/T have been sold to Nottingham City Transport. Thanks to Glenn De Sousa for this. First Berkshire Fleet List: 41772 is on loan from London. Bracknell 68006 and 68522 transferred on paper to Chertsey in January. 33182 had arrived in Slough for preparation by 23rd February. Withdrawn 41174 has returned to service. Thanks to Brian Coney for this. Fleet Buzz Fleet List: 42050 has been sold to Ensignbus (dealer). 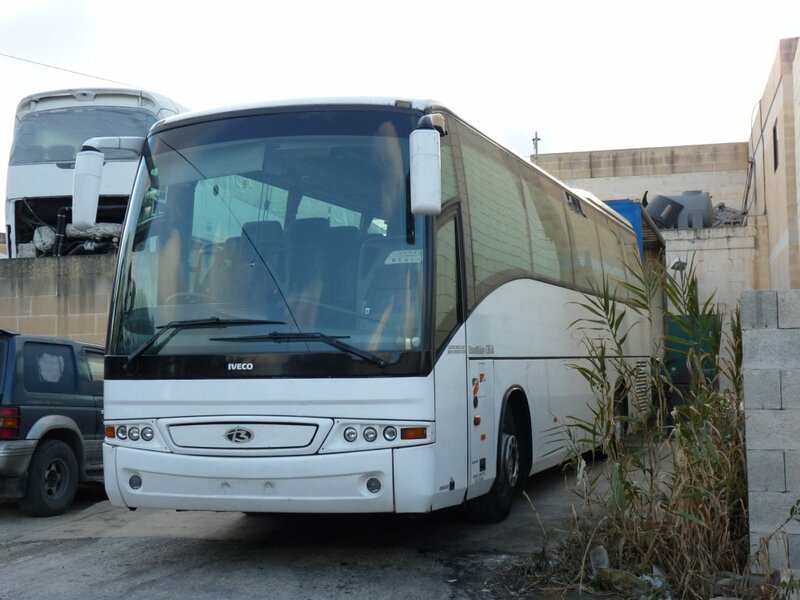 Horseman Coaches Fleet List: FJ03 ZTU has been sold to an operator in Malta. Mortons Travel Fleet List: A further Hong Kong Olympian from Kinch of Minety is J26 KHT. This has been repainted into Mortons livery and named Annie. Thanks to David Smith for this. Further Olympian acquisitions are F803 FAO and L968 MSC. Reading & Wokingham Coaches Fleet List: A new acquisition is a Mercedes/Reeve Burgess C33F NUI 7712 from Midland Glowbelle, West Bromwich, whilst BIG 9885 has now departed for it's new owners on the Isle of Wight. Oxford Bus Company Fleet List: 363 was in service by 28th. Thanks to Graham Low for this. Weavaway Travel Fleet List: N179 LHU is still in Tappins orange, with the reregistration of this and N180 still pending. Thanks to Ralph Adams for this. Stagecoach in Warwickshire Fleet List: 34628 has transferred back to Nuneaton from Stratford. Thanks to Robert Newbold for this. 47407 appears to have returned to reserve in Kettering soon after being used at Rugby back in March 2012.